As you will read below, the housing rehab business here is booming! 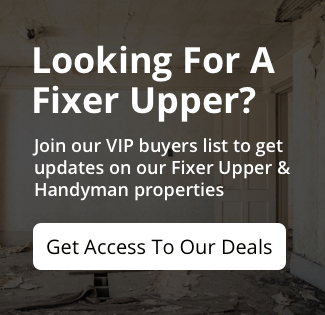 If you’re interested in gaining access to discounted investment properties in Las Vegas, Nevada, just fill out the form below and we’ll get you started. 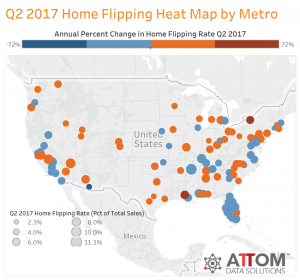 According to Attom Data Solutions report dated September 12, 2017, Nevada posted the highest home flipping rate in the nation in the second quarter (8.4 percent of all home sales were flips), followed by DC (8.2 percent), Maryland (7.4 percent), Tennessee (7.3 percent), and Alabama (7.3 percent). Among 101 metropolitan statistical areas analyzed in the report, those with the highest home flipping rate in the second quarter were Memphis, Tennessee (11.1 percent); Fresno, California (9.6 percent); York, Pennsylvania (9.4 percent); Las Vegas, Nevada (8.9 percent); and Lakeland, Florida (8.8 percent).